Whether you are looking for a single page site or a full system, RichoSoft Squared can design and create a quality solution for you. *£35 is for a single page to show web presence with contact details and business overview, logo and images. Affordable, Quality, Unique Web Sites Fast! If you need a solution that incorporates e-commerce I can develop a custom e-shop or incorporate Ecwid or PayPal Shopping carts or PayPal subscription facilities. Whatever your requirements get in touch to discuss. RichoSoft squared offers unrivalled help and support. Your enquiries are answered promptly and effectively either by e-mail, Skype or Telephone (on request). If I don’t know the immediate answer to your question I will find a suitable solution for you fast. I pride myself on a fast turn-around on your project but without any compromise on quality and performance. All projects are extensively tested and I give accurate time scales on job completion. I will install relevant and optimised keywords and page descriptions and ensure your site is Search Engine Friendly. If required we will also set up your Google Analytics and/or Google Tools for you and install the required code on your site. Becoming more and more important to growing your Internet business we can integrate social media into your site, with like, share, tweet and other buttons and also create a Facebook page for you too all optimised to help you get the best out of social media. Simple contact forms or more sophisticated forms are a speciality, with custom validation, custom scripts and mail processing to ensure that your customers can contact you effectively and fast. Want to be able to update content on some of your pages online and without using your web site authoring tool every time. No Problem, I can install a custom content editing system into your site so that you can update content remotely, easily and securely with no HTML knowledge required. 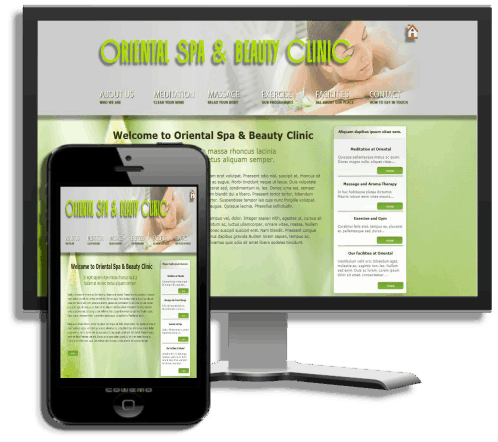 Need more than just a web site? If you require a full web based system to manage orders, people, members, training records, resource booking or anything else, I can build the system for you with a full online management console that is secure, easy to use and comprehensive.